Surrey Well Drilling Cost is available online for complete water well systems. Are you preparing to drill a water well in Surrey or the surrounding communities? Surrey Well Drilling Services provides quick online well drilling quotes. 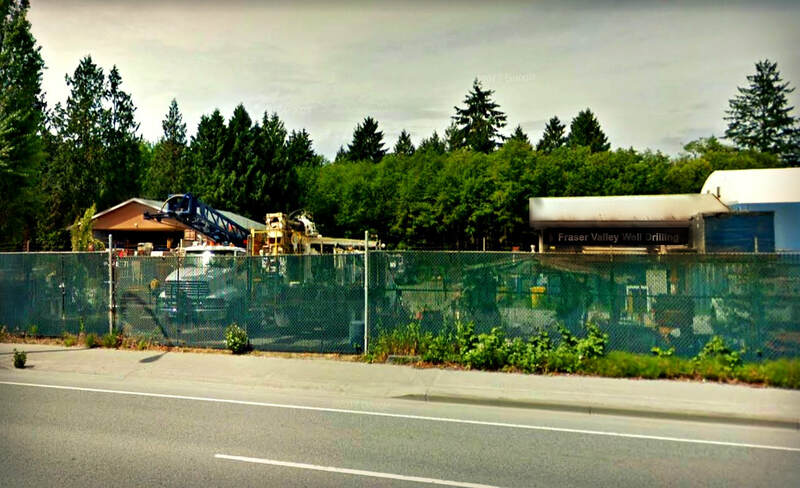 Surrey area property owners have full access to the current Fraser Valley well drilling costs without the need for a prior sales visit on your property. Request a DETAILED estimate for the cost to drill a well in Fraser Valley and the surrounding Surrey area communities. For the current Fraser Valley Well Drilling costs please provide a few details about your property when sending a request for the cost to drill a well. Any information will help prepare a detailed estimate and information that you will need to drill a well in Surrey. To request a well drilling estimate for the Surrey area please submit your information, we respond quickly to all requests. Your information is always private and is only used to provide a detailed well drilling estimate for the cost to drill a well in Surrey and the surrounding area. We offer a broad range of water well repairs and local well drilling services in Surrey including well pump installations, water well systems, rehabilitation and water well decommissioning. We provide easy access to well drilling cost for Surrey online, just request an estimate! Surrey Well Drilling focuses on local well drilling requirements, providing top-notch water well service, drilling and water well systems completed to our exceptional construction standards. Throughout some Surrey areas water systems play a large part in everyday life for hundreds of residents and business owners, including agriculture, hobby farms, residential properties & businesses that depend on aquifers and local groundwater resources to sustain their water demands. Surrey well drillers depend on their broad scope of well drilling knowledge and expertise to developed water wells in many of the subsurface resources along with a diverse-range of geological environments to locate the best groundwater resources for the residents of Surrey. Call Surrey Well Drilling request the cost to drill a well in Surrey online, all online submissions for water well service or well drilling quotes get a fast response. Surrey Well Pump installs a full range of water well pumping systems, from submersible pumps for residential water wells in Surrey to jet-pump shallow well installations, booster pumps, variable-speed pumps, centrifugal pumps, turbines booster and even solar pumps. Our workmanship speaks for itself, we take pride in designing and installing quality water pumping systems for local water wells in Surrey. Surrey well drillers specialize in domestic water wells but can also fully skilled with large diameter production or irrigation systems that are needed throughout the Fraser Valley on many local farms and greenhouse operations. The estimated cost to drill a well in Surrey is determined by drilling location, geography, method of drilling & required construction materials. Experience when drilling for water in the lower mainland is very important for the successful completion of drilled wells throughout the region. Skilled water well development and flowing well precautions are crucial for long lasting water and the effective management of drilling costs. We avoid drilling excessively deep whenever possible which may help reduce water well problems such as saltwater intrusion that can occur in many areas of the Fraser Valley. Deep-hole drilling obviously increases the overall well drilling cost throughout Surrey and the neighboring communities, but the risk of saltwater intrusion generally increases too. Surrey Well Drilling provides emergency well services in Surrey and the surrounding areas. Well Drilling Surrey offers all our services year round. We drill right through the winter months too! Please contact us for information about our winter drilling rates. We're sensible about the well drilling costs in Surrey and very aware of the fact that drilling for water is a significant expense for most property owners. Our local well drillers give their best effort to locate the most productive fresh-water resource prior to drilling. Drilling a dry well is a common fear for many property owners on in Surrey, we make every effort to avoid the costly and often unnecessary failure of drilling a dry hole. We almost never implement the process of fracking drilled wells in the, while hydro-fracturing does create additional profits for a well drilling company we believe that the hydro-fracturing of water wells can almost always be avoided by focusing on the often over-looked process of site selection prior to drilling along with the best drilling practices. We will always choose integrity over profits, we would rather have you invest in a quality water well rather than costly add-ons such as hydro-fracturing when drilling a new water well. Remember, you're already paying the cost to drill by the foot, all others well drilling add-on can greatly increase the cost of drilling a well. Please note that a drilled well should be located on higher-ground to protect a well head from normal or seasonal flooding and possible surface drainage from contaminating a water well. Surrey property owners truly appreciate quality water wells. A good producing drilled well is highly valued in the area and vital for many local properties to thrive. We construct water systems that stand the test of time approaching all projects with quality materials and workmanship. We are often asked when it the best time to drill a new water well? We drill all 12 months of the year, the worst time of the year is when your well drys up during the summer and you suddenly want to drill... there is always a waiting period! Real Estate values can be hindered by the lack of viable water or an existing dug well that struggles through the summer months in Surrey and, for obvious reasons if you've ever been required to haul water to just maintain your water requirements during the hot months as many Fraser Valley property owners unfortunately do. 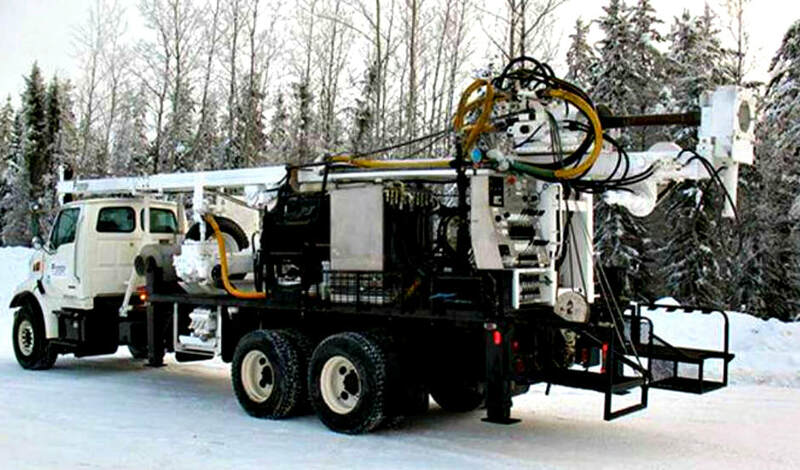 Surrey Well Drilling - we're equipped to handle all well drilling projects regardless of project size or requirements. We're the Fraser Valley's well drilling experts but also cover Geotechnical services, commercial water systems and large diameter production wells for the agri-industry. 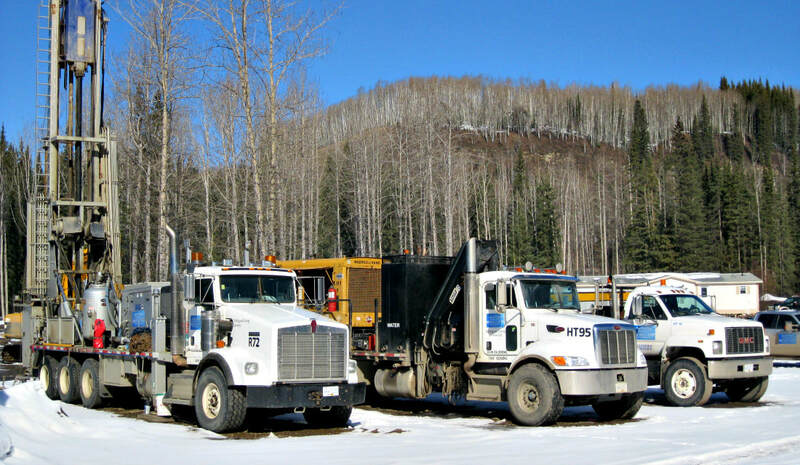 Always fully prepared to drill for water in any of the British Columbia formations with the ability to setup for drilling throughout remote areas throughout the where traditional drill rigs and other equipment cannot gain access. With the ability to utilize Heli-portable HT-500, HT-700 and HT air-compressors, we can often mobilize on shorter notice when required. We also manage much larger sonic drilling projects throughout Surrey and Greater Vancouver, we're fully equipped with DR-24 Barber drills and sonic drilling equipment with the capacity to drill from 6” to 22” diameter and drilling depths that can often exceed 1,000 feet. With engineered & very innovative drilling equipment available to service the Fraser Valley drilling requirements and the ability to carry out specialized jobs and geotech drilling projects. Surrey Well Pump service area includes Surrey, Surrey Newton, Langley, Cloverdale, Aldergrove, White Rock & Delta. Typically, aging well pump systems may give some indication that a well pump is nearing the nearing it's end of life. It just might be the right time to replace your old pump! Don't wait for a costly well pump repair or emergency well pump failure on your Surrey property - it's not only costly but often untimely! Need Well Pump Service in Surrey? Is your current well pump system aged... it may be time to consider replacing it. It's wise to consider a water well pump replacement during the winter months or early spring, often people think a well pump project should wait till summer. Our moderate Fraser Valley weather is perfect for our local water well pump experts to replace well pump systems most of the year. Once summer heats up on in the Fraser Valley there's a massive demand for well drilling & well pump services in Surrey, Surrey Newton, Langley, Cloverdale, Aldergrove, White Rock, and Delta. We service well pumps, well pump repairs & new water well pump installations, home water treatment systems, ozone water and smaller home water filter systems. We are qualified and experienced with residential, commercial, industrial and agricultural applications. Waiting to replace an old pump during the summer months might involve increased costs and a much longer wait for service depending on the summer demand for water well services in Surrey. 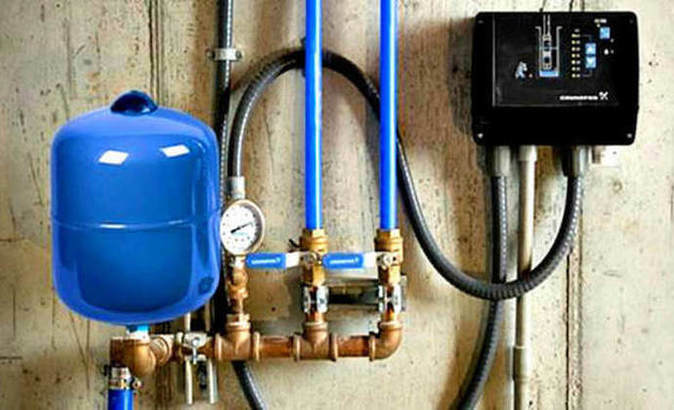 We represent reputable well pumps and water system equipment including Franklin Electric Motors, Grundfos Pumps and many other well pump brands to meet all well pump requirements and budgets. We're experts at pump selection, sizing, custom water pumping design and construction of complete water systems to meet all local projects. Our Surrey Well Pump installers are certified and fully qualified to service water system and well pumps throughout the area. 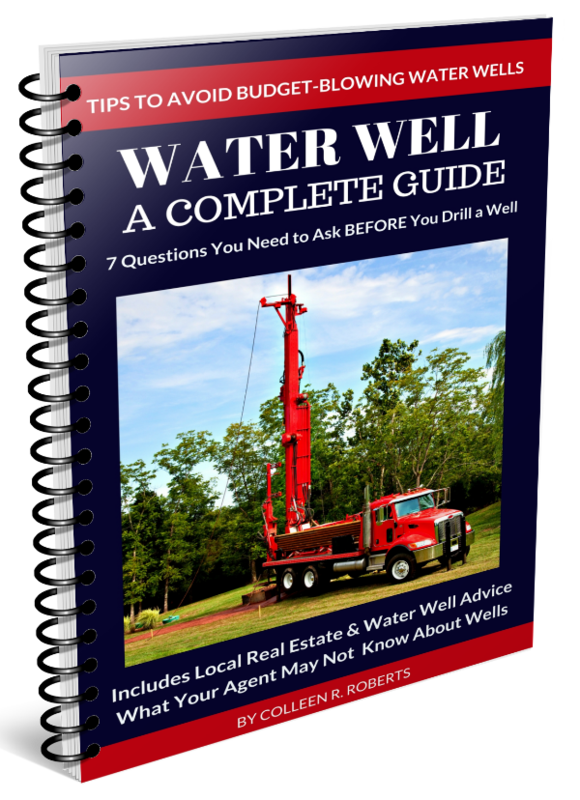 If you have a water well question, please contact us or request an online well drilling estimate for the cost to drill a well in the Surrey area. We respond to all phone calls quickly and look forward to serving our community. Not all water wells in Surrey, Surrey Newton, Langley, Cloverdale, Aldergrove, White Rock, and Delta are deep drilled wells in fact many wells are less than 100' deep. If a water well is located near potential sources of contamination it's vulnerable and can become contaminated with a very real potential of causing serious illness or even death. British Columbia Water Well Regulations and the Ministry of Environment set-backs for water wells for the Fraser Valley communities are required to protect water resources from becoming contaminated from a multitude of possible sources. To understand comparable water well drilling depths in Surrey and the surrounding communities, it's best to locate the BC Ministry of Environment set-backs and refer to your local resources including well drilling reports, resources are available at British Columbia Water Well Search and local community bylaw offices. Call our Surrey Well Drilling office we're happy to quickly search the local water well information in your area which will provide you with an indication of what to expect should you decide to drill a water well in the Surrey area. There are many possible sources of water well contamination that include waste-discharge to the ground, such as privy-vaults (also known as an out-house or pit toilet), cesspool (“overflow” pits), underground storage tanks, septic tanks an effluent field, stable or pig sty, manure heap, fertilizers and pesticides, runoff from urban areas, even a cemetery or landfill sites. A drilled water well in Surrey or the surrounding communities should be located on higher-ground when possible to protect a well head from normal or seasonal flooding as well as possible surface-drainage that can easily contaminate a water well. Both shallow wells and deep wells located anywhere within Fraser Valley may be vulnerable and should always be protected by locating a well from surface drainage-ditches and other potential problems & sources of contamination.